Dhanwantari Center for Yoga & Well-Being opened in June 2007 at its original location on South Michigan Street, Downtown South Bend. 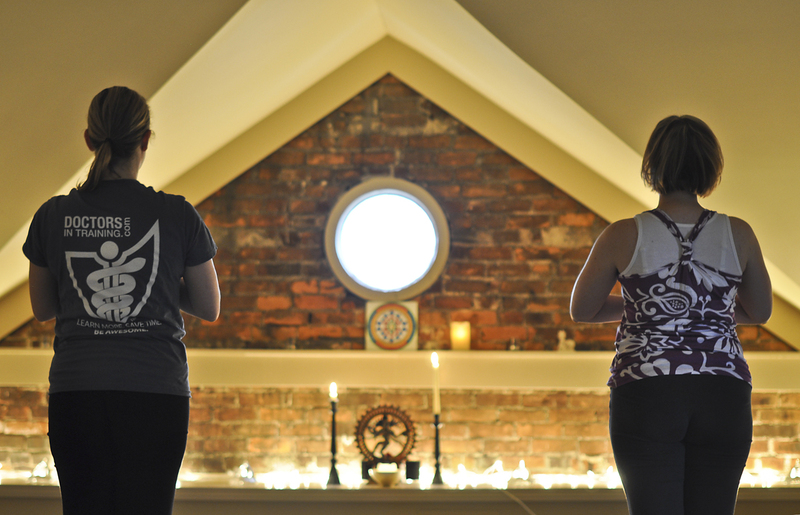 The original concept was to create a central space designed strictly for the practice of yoga in the Michiana area. Teachers from around the community would share this sacred space and offer their practice. As the name implies, Dhanwantari was founded on the foundation of yoga as a healing modality—beyond the physical. In the last 5 years, Dhanwantari has grown from this foundation and moved into the historic Remedy Building in downtown South Bend in June 2010. Over the past 6 years, Dhanwantari has become more than a yoga center. It is a community of teachers, students, healers, and seekers. Beyond yoga asana (postures) classes, Dhanwantari offers healing sessions, workshops, lectures, and gatherings to deepen one’s experience of yoga. Dhanwantari is blessed to be deeply connected with fellow yoga centers, practitioners, and teachers around the globe and this strengthens the overall sense of community and sharing on a broader scale. And now in our newest incarnation we have moved to the Rockstroh Bldg at 335 N. Lafayette on the north edge of the downtown. Dhanwantari’s Mission is to create a sacred, safe place for healing of the body, mind and spirit. Dhanwantari is dedicated to the practice of yoga as a healing modality to calm the mind, open the heart and release tension and dis-ease from the body.